Compatible to 3M Cuno CFS110. 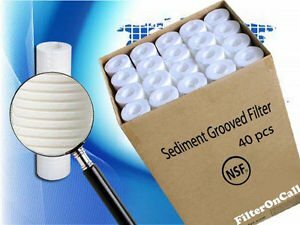 Aqua-Pure AP110 Compatible Sediment Grooved Filter 40 pcs. Compatible to Aqua-Pure AP110 Sediment Filter. ?Up for Sale : 40 pcs 9.75 x 2.5 Sediment Grooved Filter 5 micron.